On Wednesday, September 23rd, Facebook has introduced, the 360 Degree Video feature, allowing viewers to see anywhere in the video. I mean anywhere!!! 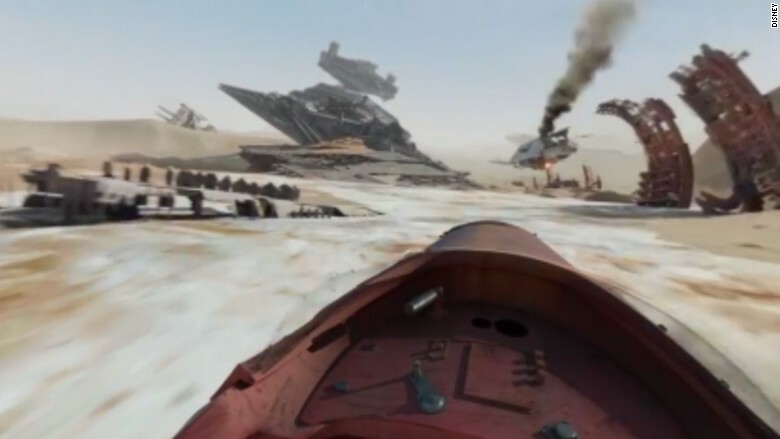 The Star Wars video allow you to speed through the area on a jet in a war-torn wasteland of some far-off planet. The Saturday Night Live video also on-aired a live show with its live audience during its 40th anniversary. Meanwhile, GoPro launched its video of dirt bike joy ride in the Idaho desert. You can click and drag, the camera movements are like you are in it really. It will have a 360 Degree effect and you can see on all areas, top, bottom, right, left, front or back. Just click and drag in videos and enjoy the best view. If you are viewing the videos on touch screen like smartphone or tablet, you have to tilt the device to look around. But currently its performance is best on desktop or laptops. In some devices, it is giving the error "360 Video is not yet available for this device." According to Facebook, the 360 Videos are working fine for Android devices, but for iOS it will be available in coming months. This is not a new discovery for 360 Video, YouTube started successfully supporting 360 Degree Video in March 2015. Some of the videos that are available on Facebook showing the 360 view are embedded here as well. Take a seat in Studio 8H and experience Jimmy Fallon and Justin Timberlake’s #SNL40 Cold Open like never before — in interactive 360°.